I was asked by my many friends to comment about the article of Salma Khalid, “Iqbal: Poor Philosophy, Rich Poetry” in Daily News, November 9, 2018. What I cannot understand from the irresponsible remarks of Miss Khalid, is her intention. I shall give her due space and may take it as a write up, compiled with ignorance about Allama Iqbal’s work. I am not a philosopher and have studied Iqbal in light of my understanding of Persian poetry, Zoroastrianism, Zurvanism, Islam, and history. I wish that some philosopher might have given an answer to the author of the article. People had been criticizing Allama Iqbal’s poetry, philosophy, ideas and message, in one way or other. It was intentional or a reaction to Iqbal’s challenge to their false beliefs, dogmas and gods. It reminds me of when I was a young boy, visiting Tehran, during my Ph.D. studies in Persian literature, in 1978. I was visiting the National Library of Tehran, where I met an old philosopher of Iran, Professor Abdullah Anwaar Mishkawt, if I still rightly remember his name. He criticized Allama Iqbal’s philosophy, on the basis of his Ph.D. thesis “The Development of Metaphysics in Persia”, where he had expressed his views about the inclination of Iranian youth towards the Baha’ism, in those days (1907-1908). There was a hot exchange of words between me and him, when he said, “Iqbal was a great poet but not a philosopher at all”. I told him that Iqbal could not be criticised due to his early days’ ideas, as with maturity of his ideas, he had himself distanced away from many parts of his thesis, which he called it as his early days’ work. Then I quoted from Hussein Nasr’s book “The History of Iranian Philosophy”, where the author had mentioned that the tradition of Persian philosophy ended with Mulla Sadra of Shiraz (died in 1640 AD), who had recorded that Allama Iqbal was the first, who dealt with the history of Persian philosophy, after the lapse of many centuries. In Iran, the sentiments had been high against the Baha’is and the blunt remarks of Professor Mishkawt might be taken in that context. One may be critical of his thesis of doctorate today but when he wrote, it was highly appreciated, despite its brevity, the thesis was in itself a great work done in the first decade of the twentieth century. The Munich University had appointed his British teachers. Prof. Arnold as was one of his examiners, who was the first to submit his report. He wrote, “I have read Prof. Muhammad Iqbal’s dissertation ‘The Development of Metaphysics in Persia’ with great interest. So far as I am aware, it is the first attempt that has been made to trace the continuous development of ancient Iranian speculation as they have survived in Muhammadan Philosophy and to bring out the distinctly Persian Character of many phases of Muslim thought. The writer has made use of much material hitherto unpublished and little known in Europe, and his dissertation is a valuable contribution to the history of Muhammadan Philosophy.” To understand Iqbal, one should read the books by Prof Abdel Wahab Azzam, Ali Shariati and Syed Ali Khamenai, a mong other. One should read the commenst of Quaid e Azam, Nehru and Mrs Sarujani Naidu. Perhaps the young writer has not gone through many such reports and books about Iqbal. She might have not herself thoroughly studied Iqbal’s Persian and Urdu poetry, statements, philosophy and literature. She might not be having access to the books written about his thoughts and impact on the modern-day world. With lack of background of the oriental (especially the Persian) metaphysics and books of commentary of Quran by the Persians (like Razi, Zamakhshari and Al Jawzi), the young enthusiastic writer has fallen a prey to what modern-day critics of Iqbal are writing about him. She does not seem to have understood Rumi, Al-Hallaj and Ibn-e-Arabi, the way they discussed the place of the human in the universe and society. I have tried to make it clear in my book under publication “Iqbal and the Sages of East”, in which I have gone through original texts and given proper references. It seems that the author was not aware of Allama Iqbal’s political struggle and criticism of communism and his strong views against the modern-day nationalism. She might not be aware of the impact of Iqbal on the life of the Persian speaking world, for which she may go through my book “Iqbal and Ahl-e-Fars”. She might not be aware of the fact that the terminology used by Iqbal in his poetry is not an ordinary one and one needed to search those words, phrases and even poetry in old Zoroastrian texts, ancient and medieval Persian poetry of Ferdausi, Nasir Khosrow, Fridudddin Attar, Hakim Senai, Jalaluddin Rumi, Amir Khosrow, Naziri, Orfi, Beidel and Mirza Ghalib, which I often highlight in my lectures. Iqbal had gone through ancient Arabic poetry of pre-Islamic days. The way he has quoted Amra-ol-Qais, Zuhair and Antra and Muslim Arab poets like Ka’ab Bin Zuhair, Abul Ala’a Muarra of Syria, Al-Mutanabbi, and Ibn-e-Badrun of Spain speaks of the depth of his knowledge and understanding of Arabic verse. 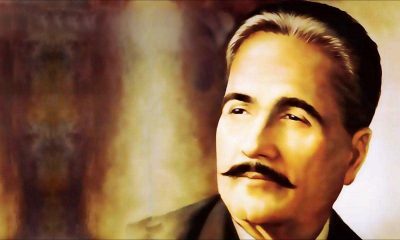 Iqbal’s main source of wisdom was the Quran and according to Dr. Ali Shariati, it is Iqbal’s philosophy which has proven the truth of Islam in modern days. The learned author of the article has criticised Iqbal for proving modern days’ facts from Quran. She goes to an extent that she says, “In the ‘Reconstruction’ Iqbal uses Quranic verses extremely irresponsibly to prove his points on history, biology, physics, mathematics and what not. He was the modern originator of the harmful attitude that Muslims have since badly suffered from – their tendency to ‘discover’ everything in the Holy Quran while the rest of the world works its brains off day and night trying to unravel the workings of the universe.” To me it speaks of her utter ignorance of diversity of meanings of Quranic verses, which Iqbal has proposed to be read, independent of the views held in the past by previous generations. He advises divulging to ‘Ijtehad’ (independent thinking) and developing consensus (ijma’a) about the challenges and issues, from the perspective of current day scientific, legal, economic, political and social knowledge. His lectures were not intended to be compiled in the form of a book. Her main target was reconstruction of the Religious Thoughts of Islam, which she considered to be the book written by Iqbal, on philosophy. That was the time when in South India, the missionary scholars were busy in convincing the college and university students as well as the educated élite, that their prevailing ideas of the religion were out-dated. The Muslim elderly people had decided Iqbal to visit and address to young men and ladies of Madras and then in Hyderabad Deccan, to counter the impact of that malicious propaganda. Moreover, he addressed from the rostrum of the Aligarh university. Iqbal was successful in reviving the confidence of self-esteem of the youth. He had to do it in the shortest possible time, therefore, the lectures were based on rich information, in which Iqbal had to shift from one topic to another, taking in mind that the audience understood much of the background of what he talked. While referring to his series of lecture, in the end of his book ‘Javid Nameh’ he called the “Herf e Picha pich o herf e Nishdar, Ta konem aql o del e merda shekar” (I used complex language and difficult vocabulary, so that I might convince the intelligentsia, the way it understood). He talked about ideas and intuition. He moved forward to discuss way out of dogmas and orthodox beliefs, which had made their way into the religion, on later dates. 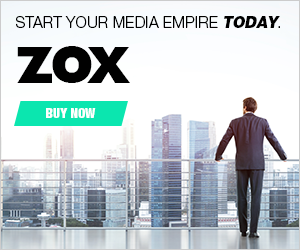 He was successful in his efforts to neutralise anti-Islamic propaganda. He was explaining Quranic verses with different references. His lectures were received well and appreciated. At a later date, these were compiled in the form of the book “Reconstruction of Religious Thoughts in Islam”. Then the book was translated by many authors in Urdu (at multiple times with different versions), Persian and Arabic. A Saudi scholar of Sudanese descent proposed a ban on its text and even called Iqbal as an infidel. I think it was mainly due to lack of background knowledge, on the basis of which Iqbal had spoken so explicitly about the reconsideration of commonly prevailing ideas, in an effort to free Islam for dogmas and myth. Before compiling his lectures, he had consulted many religious scholars like Maulana Suleiman Nadwi and Sufis like Pir Mehr Ali Shah of Golra Sharif. He had discussed with them the point of view of Shah Waliullah Dehlavi, terminology and vocabulary as well as the philosophy of time and space and many more matters. The book had indeed led to the controversy at a larger scale. William Owen Carver (1898-1943) observed “His (Iqbal’s) aim was “to reconstruct Muslim religious philosophy with due regard to the philosophical traditions of Islam and the more recent developments of human knowledge.” Edward Hulmes noted “One of the author’s (Iqbal’s) motives was to encourage his fellow countrymen to explore their own cultural roots after years of British colonial rule. But his aim was also to transcend the limited boundaries of national identity in order to ‘build bridges’ between people of different cultures and religious traditions. In his book “Glory of Iqbal” Syed Abul Hasan Nadwi has differed with certain ideas of Iqbal, expressed in those lectures. According to him, Syed Sulaiman Nadwi used to wish that those lectures had not been published. This means that as quoted by Maulana Maududi, Iqbal has started a discussion in a write direction about the Islamic thoughts. Previous to that rigidity of religious thoughts and practices (taqleed) was the mainstay of the Muslims. 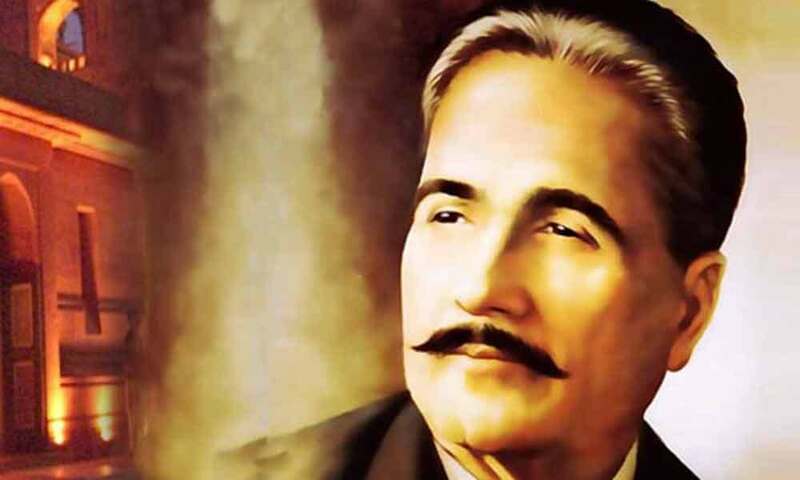 Iqbal talked of reconsideration beliefs and bring them back to the originality of views expressed in the Quran, in accordance with the modern-day challenges. I think that the learned author had not gone through all that side. We are concerned the way Iqbal’s poetry and philosophy were misquoted, out of context by the Marxists, Fanatics, Establishment, and Theologians. The young author seems to have been swayed by their perceptions, claims and interpretition. Our main aim is to make Iqbal’s message understandable, the way Iqbal himself wanted to do that. That is obviously misunderstood by the young writer, too. If she reads, one of his last poems “Iblis ki Majlis e Shura” (The council of the Devil) in “Armoghan e Hejaz” (his posthumously published book), he clearly narrated that the Marxist communism would fail and the next challenge to the west would be that of Islam. What the communist have misquoted from Iqbal was the statement of Lenin, who spoke in front of God. Those were Lenin’s words and not those of Iqbal. That is if someone quotes verses from Nohah e Abu Jahl, from the Sphere of Moon of Javid Nameh and says that was what Iqbal said. It was the fault of the great Poet of the East, rather misuse of his verse by the opportunists, who talked the ignorant people and referred to his poetry, out of its context, to strengthen their viewpoint. The lady has mentioned that Iqbal has misquoted Louis Massignon about Al-Hallaj’s view. He was not the only source of Iqbal to study the Persian mystic (Al-Hallaj), Allama Iqbal has studied his book Tawasin and to understand it better, he has found a Persian translation. When he talks of different Tawsin, in his first part of the “Javid Nameh”, he seems to have taken his idea of Al-Hallaj. That tradition becomes more intense when he reaches to the Sphere of Atared (Mercury planet) and meets Al-Hallaj, Ghalib and Tahirah. He calls them those dissident spirits, who were offered an abode in the Paradise of Heavens but they preferred to wander in the bewilderedness of the universe. What he hears from the Persian mystic is what we see in his Tawasin. Iqbal has read his divan also. Iqbal had read Ibn e Arabi in detail and claimed that he was acquainted to his philosophy, from the beginning of his life as it was discussed in his home. Allama Iqbal had a great idea about the Muslim mystics and poets and could not be impressed by the point of view of Orientalists. What she refers from the words of Friedrich Engels, cannot be transposed to Iqbal, who stood between the East and West and intellectually his source of inspiration remained Quran. The young writer is advised to read more, as we suggested before passing a judgment of Allama Iqbal’s philosophy. I salute you Tariq sahib! You are a true scholar of our heritage.I thank you for such a detailed and informative reply to the ignorance of this lady.